Clth, 9 x 11.75 in. / 504 pgs / 396 color / 109 bw. 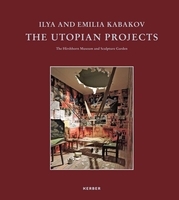 Ilya (born 1933) and Emilia (born 1945) Kabakov are among the most important living Russian artists. 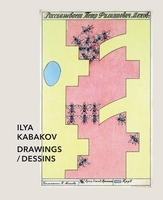 Based in the US since 1988, the Kabakovs have developed a practice spanning drawing, painting, sculpture and installation art, grounded in the conditions of post-Stalinist Russia but also engaging universal questions of our perception of everyday life. 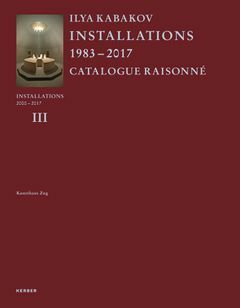 This publication offers a catalogue raisonné of Ilya and Emilia Kabakov’s installations made between 2000 and 2016. Featuring texts by Matthias Haldemann, Emilia Kabakov and Robert Storr, it offers a complete overview of the Kabakovs’ recent environmental work, including the Monumenta commission “The Strange City” (2014) at the Grand Palais in Paris. Inspired by art from the Renaissance period through the 19th century as well as utopian fantasies of the future, “The Strange City” represents the synthesis of a long artistic career. 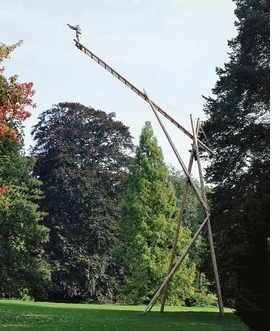 FORMAT: Clth, 9 x 11.75 in. / 504 pgs / 396 color / 109 b&w.